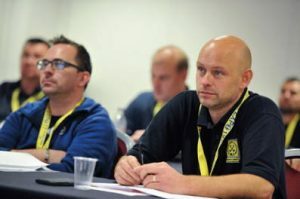 The Master Locksmiths Association (MLA) has reported record attendance at its trade exhibition for the locksmithing and physical security industry. 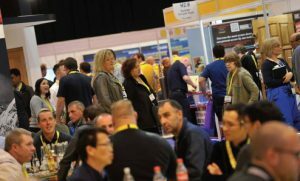 The bi-annual event, which was staged earlier this month in Halls 1 & 2 of the International Centre in Telford, had a footfall of 2,309 visitors – 50.3% up on the previous expo in 2015. “MLA Expo is a truly global exhibition involving people from across the wider locksmithing industry, and that was proved once again. Total overseas visitor numbers almost doubled, splitting this down further, just over 90% more visitors came from Europe as did in 2015. It provides a fantastic opportunity for locksmith and security companies and professionals from around the world to come together, network and find out about the latest innovations in the industry. It is the perfect occasion for manufacturers and suppliers to showcase their products and services, network, share knowledge and make new contacts. 3 awards were given out at the MLA Expo; Best Stand was won by APECS, Most Creative Stand was won by Burg Wachter whilst Best Product was won by Sashstop, as judged by MLA board members who are working locksmiths. Our heartfelt congratulations go to them all on their well-deserved win. The event also saw a Gala Dinner arranged by MLA Board Member Terry Watts on the Saturday night, with a mix of a pre-dinner drinks reception, excellent food and entertainment with a great time being had by all. The MLA’s charity raffle also took place with prizes very kindly donated by Brisant Secure, Aldridge Security, ABUS, Abloy, Burton Safes and Keyprint. Thanks to them and the generosity of those in attendance £3100 was raised for the charity of choice of the event which was Cancer Research. Numerous Industry awards were also given out at the dinner. 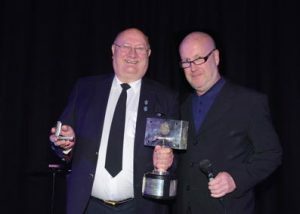 Firstly the ALA gave a special award to Tim Hart in recognition for all the work he put in to help with the event. Ron Cliff was next up being awarded honorary membership of the MLA thanks to his significant contribution to the association over the years. Sid Owen was then announced as the winner of the Nigel Rose Bowl due to him having had the best BLI Exam results during the previous year. The final award was the Chubb Award; this most prestigious and well recognised award within the industry is bestowed by the board of directors of the MLA on the person they feel has done the most to further the locksmithing profession in the previous year. The recipient in 2017 was John Harding (pictured), somebody who has not only served as a board director of both the MLA and Sold Secure, but is current secretary of MLA London Region and has toured the country training on the vital H&S aspects of working with abrasive wheels.